Not sure how to get started with composting? Wondering whether you need a worm farm? Don’t know which system is best for you or what the benefits are? Maybe you’re curious how to use compost and worm castings! Or maybe you’ve tried composting or worm farming but had problems. If you need a little help to get started, want to learn how to solve common problems or make a decision on which options are best for your needs, this workshop is for you! Come join me to find out how to make your own nutrient-rich soil to grow healthy plants. Discover easy ways to recycle your food and garden ‘waste’ with compost and a worm farm. This hands-on session will make it easy to understand. Notes available. FREE but BOOKINGS ARE ESSENTIAL. Visit http://bit.ly/2OdctiB to register; Phone 5329 6555 or Email libraries@noosa.qld.gov.au to book your FREE seat. 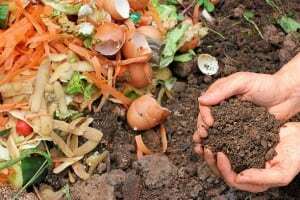 I am presenting this workshop in partnership with Noosaville Library, as part of International Compost Awareness Week – Sunday 5 May – Saturday 11 May 2019. Hope to see you there!